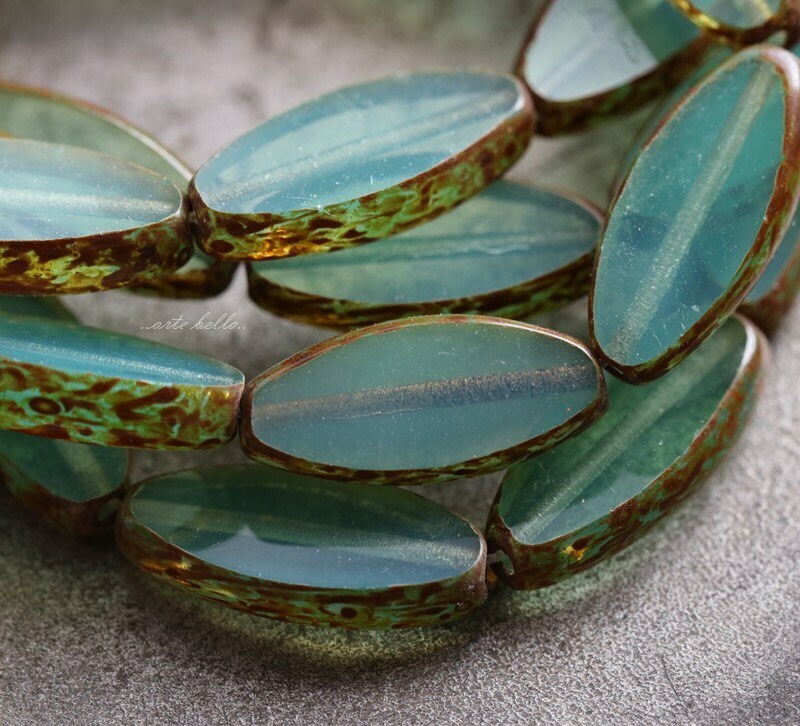 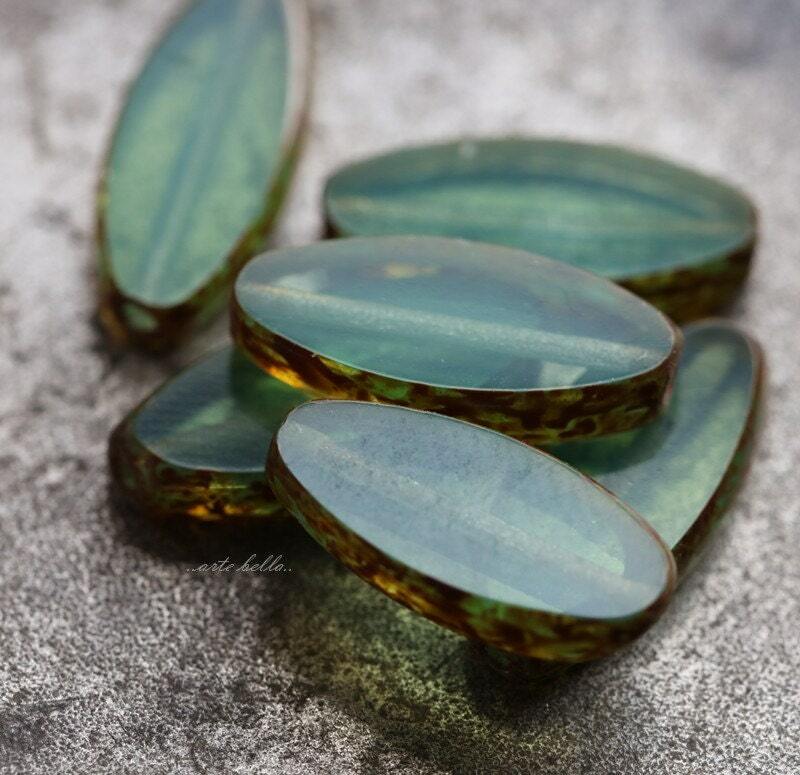 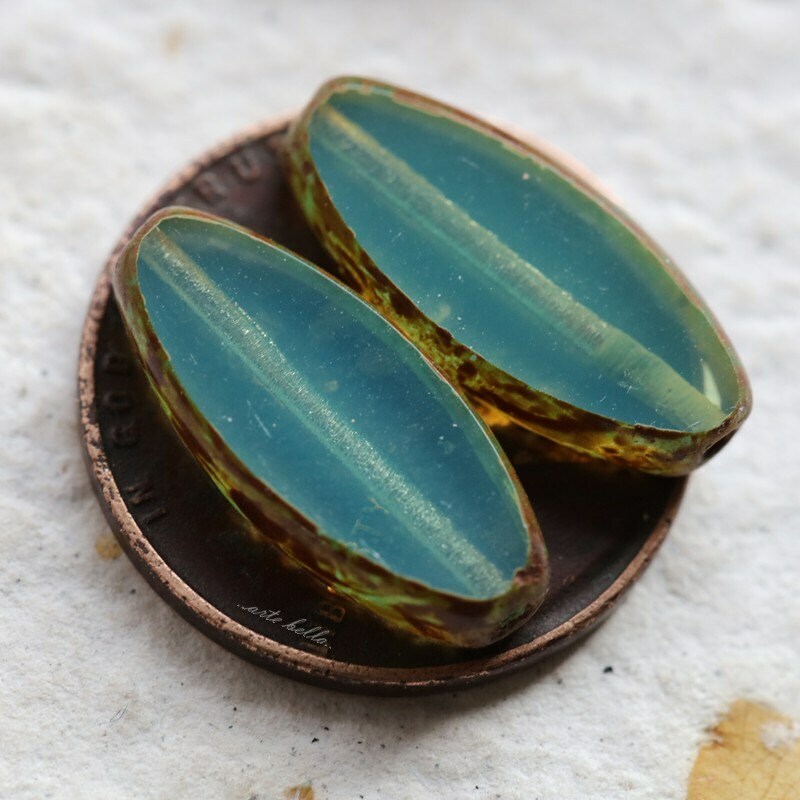 Gorgeous aqua green milky opal glass petals with earthy Picasso finish around the edges. 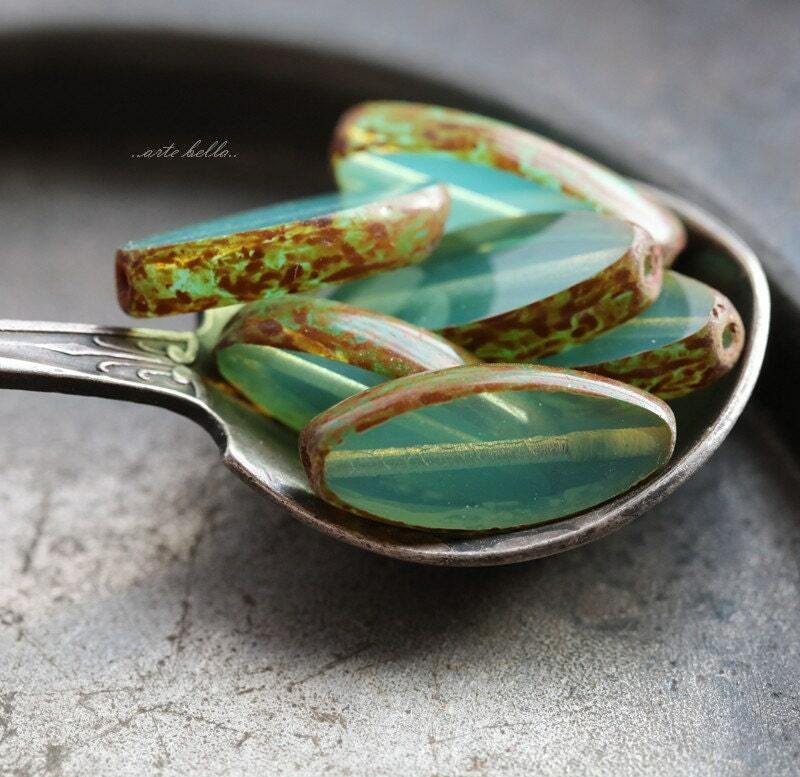 Polished off on the face of the beads. 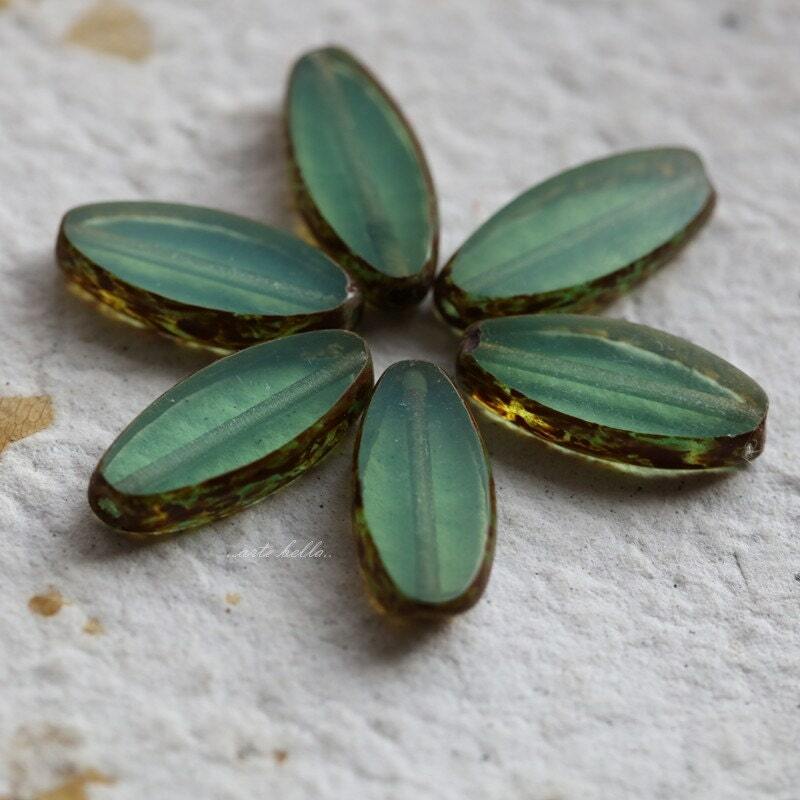 Beautiful beads, fast shipping and packaged very well, Happy customer!